Even as a young and eager student of filmmaking, Spain-native Santiago Pozo intrinsically grasped the dual forces driving the movie business. “Cinema is both masculine and feminine; the masculine part is the distribution, marketing, and money, while the feminine part is the innovation, originality, and intuition,” he says. 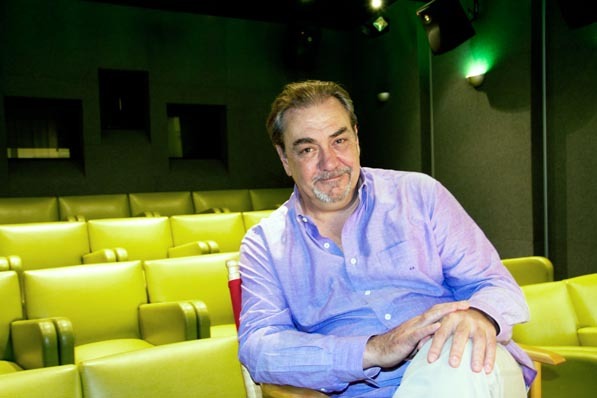 A native of Madrid, Pozo fell in love with cinema at the age of 13. His father owned a bakery across the street from a cinema and, in exchange for letting them hang their posters in his shop, he received two tickets to their double feature each week, which he would always share with his son. “One day I came back from the neighborhood theater after seeing two good films and I told my father, ‘I want to make movies,’” Pozo explains. Pozo soon applied to the acclaimed Peter Stark Producing Program at the University of Southern California—not only was he accepted, but he also received a Fulbright scholarship to attend. It was there that he learned the ins and outs of the movie business, particularly the symbiotic relationship between making a film and properly marketing and distributing it. “Cinema is both masculine and feminine; the masculine part is the distribution, marketing, and money, while the feminine part is the innovation, originality, and intuition. You can have a film that is great, but if it doesn’t have the right distribution or marketing, it won’t connect to the audience. You can have a fantastic campaign on a multimillion-dollar picture, but if it doesn’t have the feminine aspect to it—the feeling of heart—the film doesn’t work,” he explains. Pozo was hired in the marketing department of Universal Studios immediately out of grad school, where he rose through the ranks to become the executive in charge of minority marketing. After a shift in management, Pozo saw himself becoming bored in his position and transforming into a “bureaucrat,” and decided to start his own company. “I turned in my resignation and I started Arenas Entertainment in ’88 with $6,000 in the bank, a phone, and me. And here we are, 25 years later,” he says. The company is now widely regarded as the authority in Latino marketing, having conquered a niche market that is quickly becoming one of the most important in the industry. “In many cities, the Latino market is not the minority anymore; it’s the majority. So, the Latino market is becoming the general market,” Pozo explains.